HAGERSVILLE, ON – After capturing the attention of fans, racers and industry insiders on both sides of the American-Canadian border with the inaugural Canadian Short Track Nationals last September, Jukasa Motor Speedway will look to up the ante even further with the second instalment of their marquee event in 2019. The second edition of the Pro Late Model showcase will headline the August 31st – September 1st weekend, and will boast a head-turning $300,000 total purse and will also have the length increased from 200 laps to 250 laps. The Jukasa Motor Speedway brass hope to continue establishing the burgeoning event as one of the can’t miss Crown Jewels of the racing calendar, and to help achieve their vision, the 2019 edition of the race will pay a mammoth $75,000 to the Pro Late Model winner – with $3500 guaranteed just to start the 250-lap feature event. 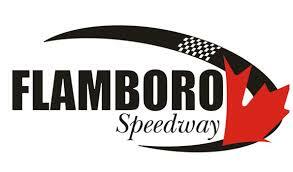 “The Super Stocks did everything they could to steal the show (in 2018) and we knew that we wanted to reward that performance by bringing them back for the second edition of this event and the Outlaw Super Late Model race last year attracted some of the best from Canada and the USA and the feeling is that with the increased purse the talent pool will increase even more which will be incredible”, mentions Nagy.